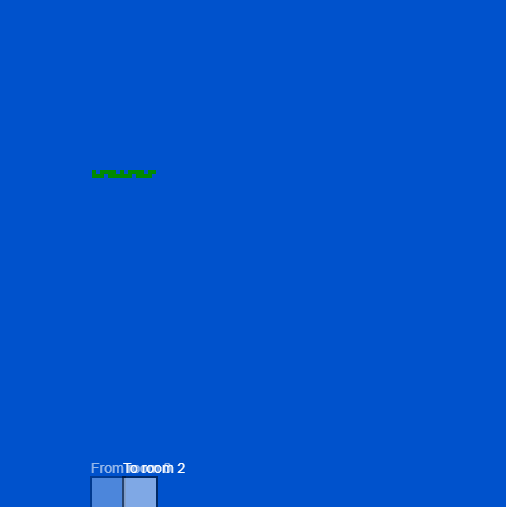 *in this image you can see you created your room and put the begin exit. **3rd step: !! !BE VERY CAREFUL HERE AND ENABLE THE GRID OPTION!!! put an exit to room1 in room0, on the 2nd tile from the avatar. in the exit menu, you will have room1 and you want to put your end exit the next tile from where the begin exit starts. (as you can see in the images)you might noticed that I left a tile blank in room0 between the avatar an the begin exit. 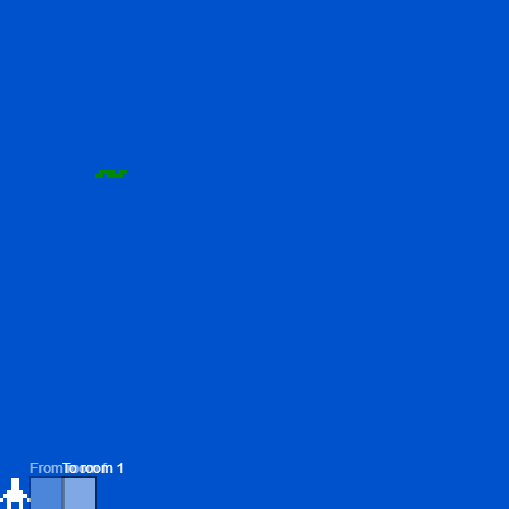 that is because when the player first starts to accelerate to give the motion effect it needs one tile to start. **in this image you can see the loop you will have to do the entire animation. 4th step: repeat step 3, but at the end of the row, you will want to make another row above the first one. 5th step: at the end of the animation you would want to put your tiles and sprites in every single freaking frame. you might even have to use sprites because they can add one more color to the animation and can be a major +. the only thing you have to do is create a palette and give the sprites another color. you just have to use that special color just in the rooms you have sprites, or if you will, you can create a lot more palettes and use different colors for different sprites. !!! Note: if you ever run out of space for your avatar to run, you can create another room and repeat the process above from step 2, but instead of room0 is your starting point in that room and room1 is the other frame. hope you liked my first guide! if I made a mistake or forgot something, you can tell me. I used the open-source project 'bitsy' by a cool guy named Adam Le Doux. I really did not thought about that, but it would be cool if in the future update you can change the player's speed in a specific room, or all the rooms. I enjoyed your tool! thanks for the feedback zetef! yeah, that will be a great gameplay idea!